Similar to Hamlet, Projectmates often looks to the future to see what is on the horizon and to ponder the age-old question of what will come next. Differing from Hamlet Projectmates sets out to innovate the future of owner focused capital construction management and leaves the trickier questions to philosophers. Mobility is a tricky subject because it can mean (and not mean) many different things. Many software vendors offer a 'mobile' solution, but they only pull the rug out from under the client when it becomes apparent the mobile solution was a website to fit small screens and not an app that is optimized for the very mobile devices they were sold to be used on. The importance of having a native app for an owner when managing a capital construction project is tantamount to an essential aspect of functionality. Projectmates lets each team member choose and use the tablet, phone, and smart watch of their vendor choice. The Projectmates app is native for both Android and iPhone devices taking advantage of push notifications, talk to text, and instant messaging amongst individual team members to project wide discussions. 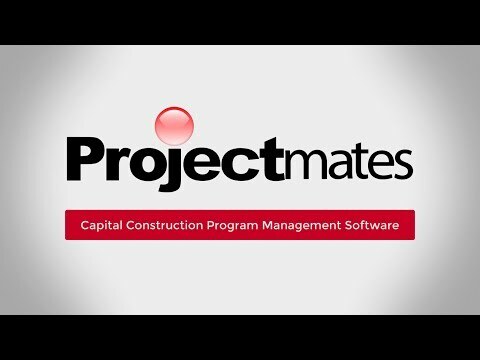 Projectmates users can utilize the app for Construction Document/Design Management, Schedule Management, Field Reports, RFIs, Punch lists, Cost Tracking, and more. The new Annotations & Markup Tool allows users to annotate and markup drawings/documents within a project. This is done by letting you circle, highlight, provide comments and even attach images directly from your camera to a PDF. An example would be you get a notification on your phone about a new RFI question. Opening your phone, you can quickly click on the notification and be taken directly to that aspect of the project with a simple click (no login screen and navigating through 15 screens to answer 1 question). Suddenly you are answering a question in 3 minutes and clearing your tasks from ball-in-court. It does not matter if you are still in this country or another; if you have internet capability you have the ease and dependability of Projectmates. Commercial and government business is changing when it comes to handling capital construction project management from an owner's perspective. Your desktop isn't always within arm's reach. Your phone, however, is always ready and waiting & and that's something we want you to take full advantage of.